The Adela Dining Table is available from Place Direct. 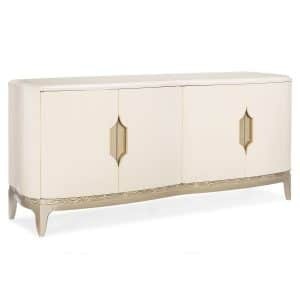 Made by Caracole. 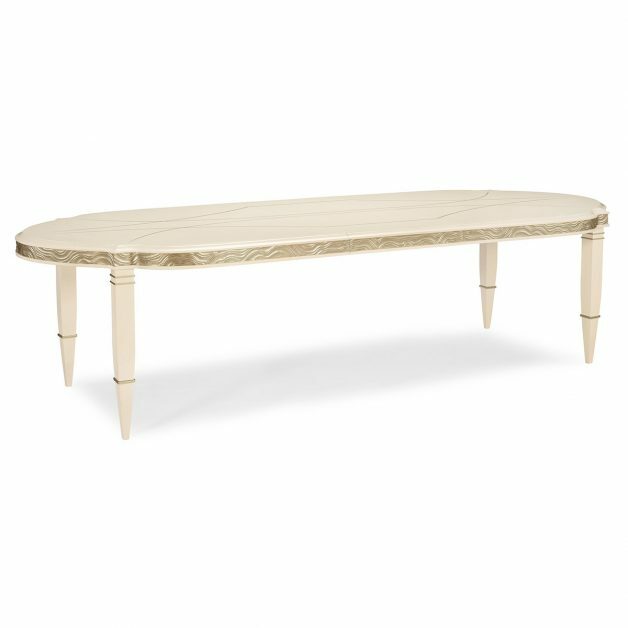 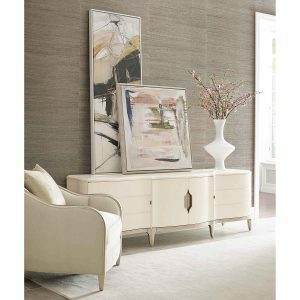 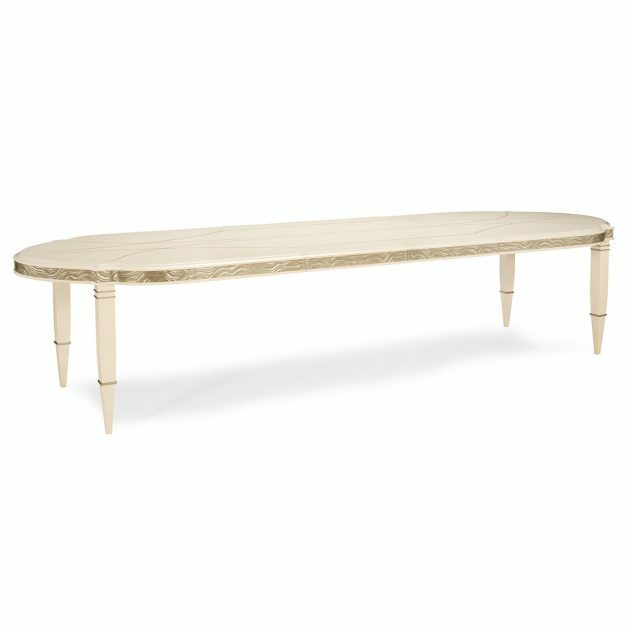 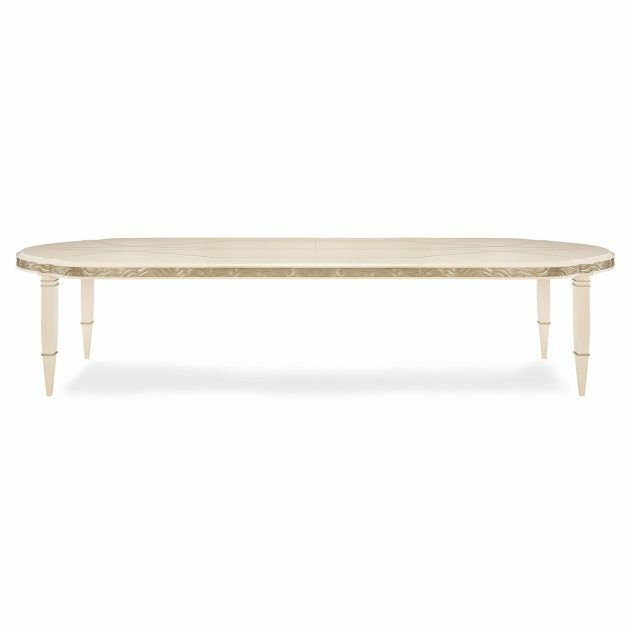 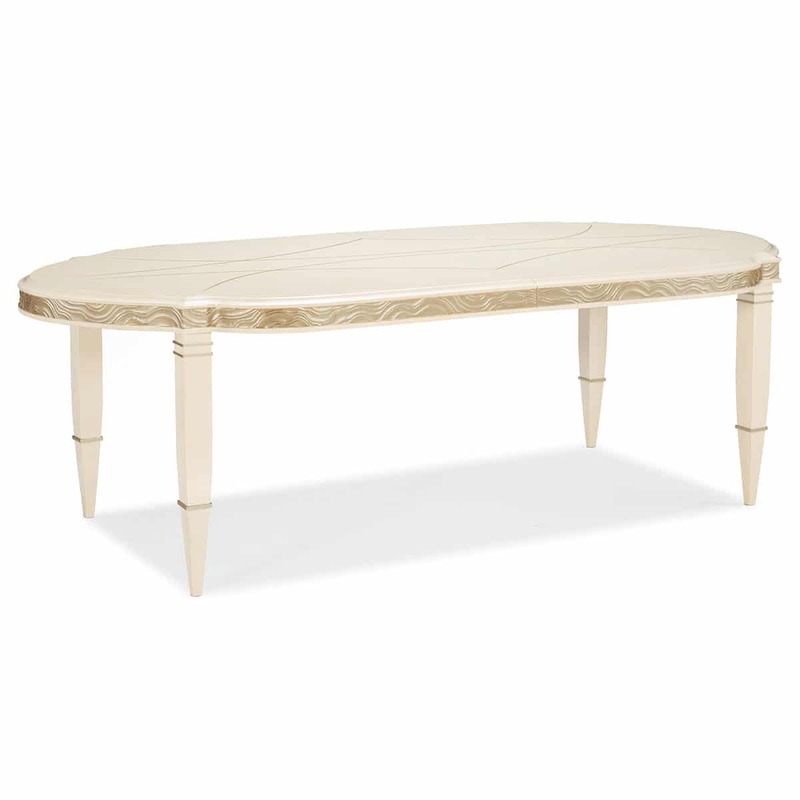 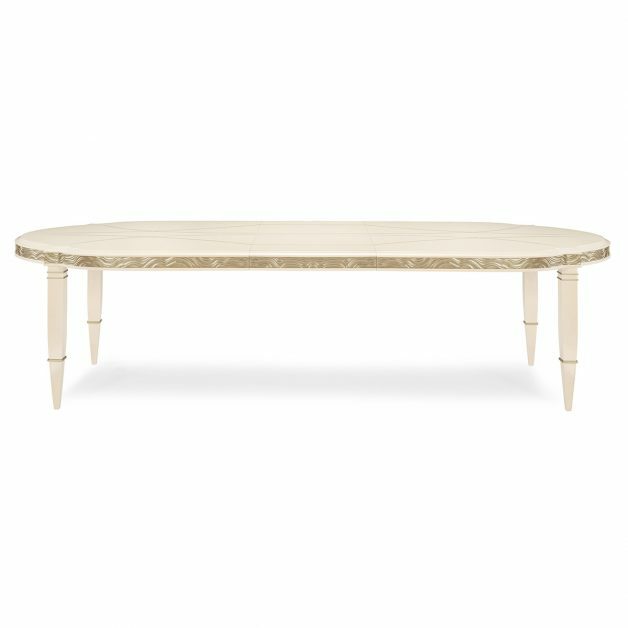 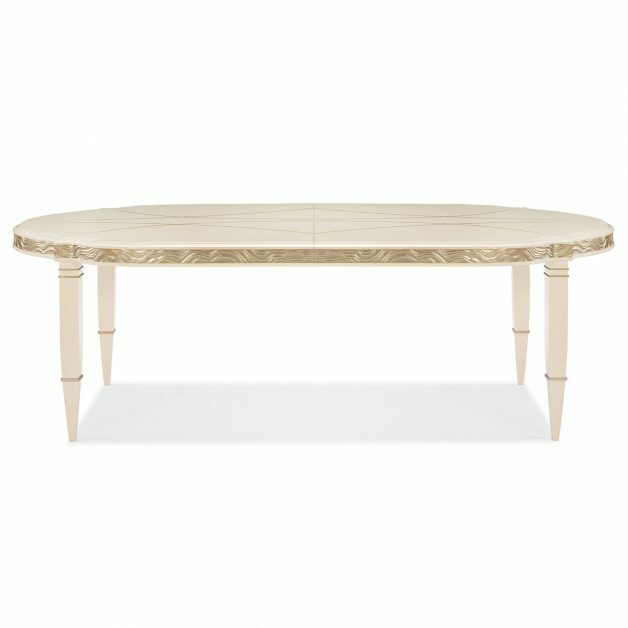 Washed Alabaster maple and metallic Blush Taupe combine in The Adela Oval Dining Table. 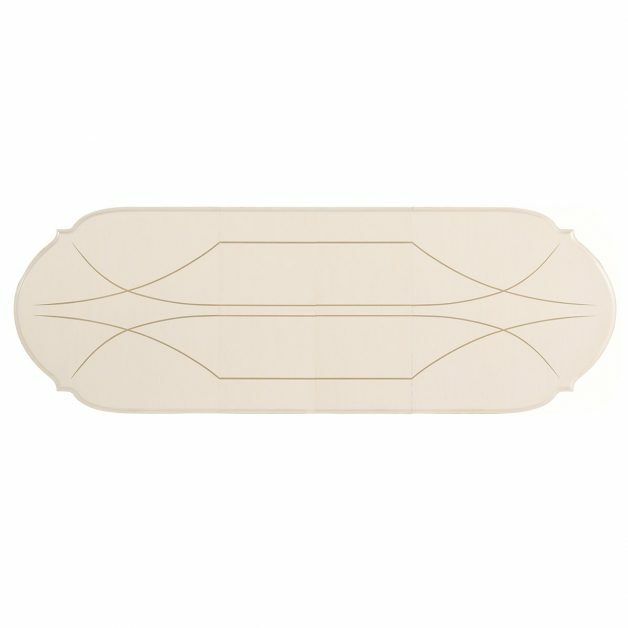 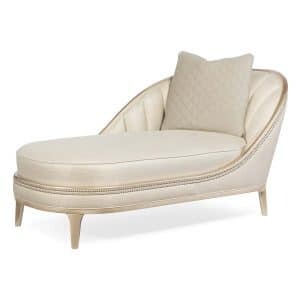 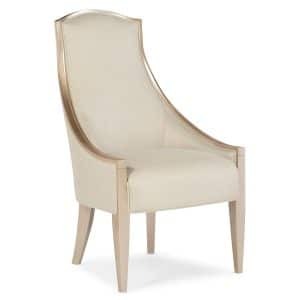 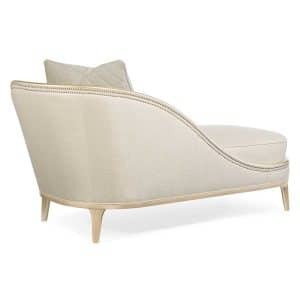 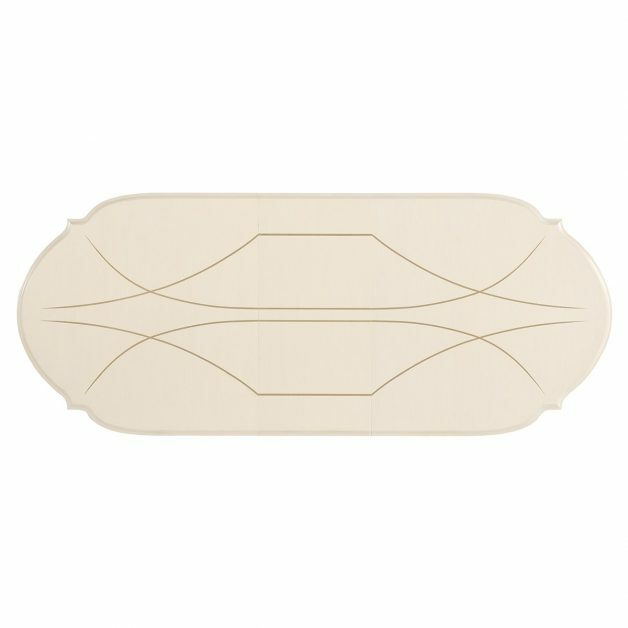 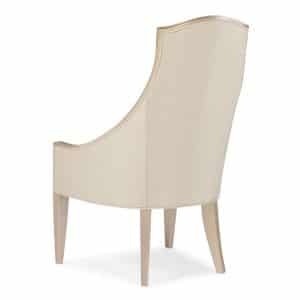 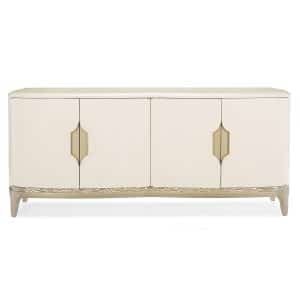 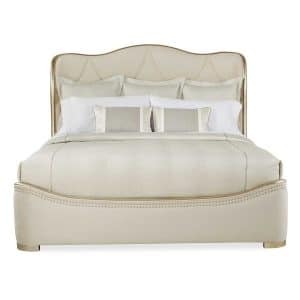 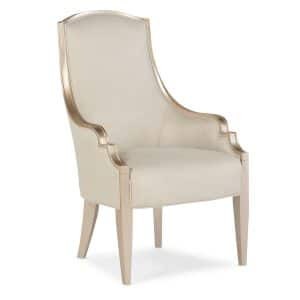 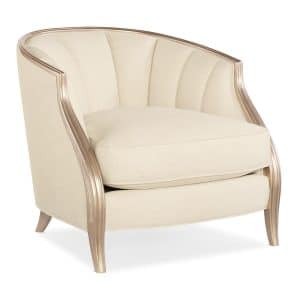 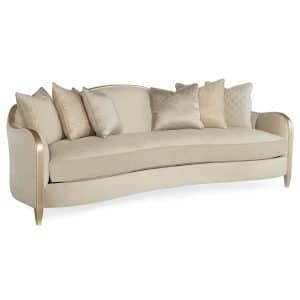 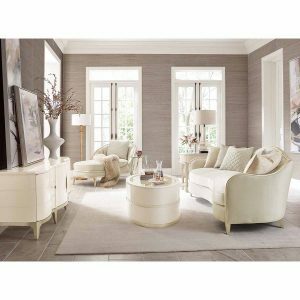 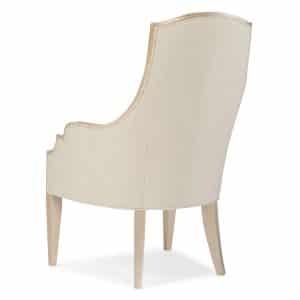 This is a long, slender piece that gracefully curves at each leg. Its deeply carved apron is surrounded by a chic, shimmering carved ribbon design. 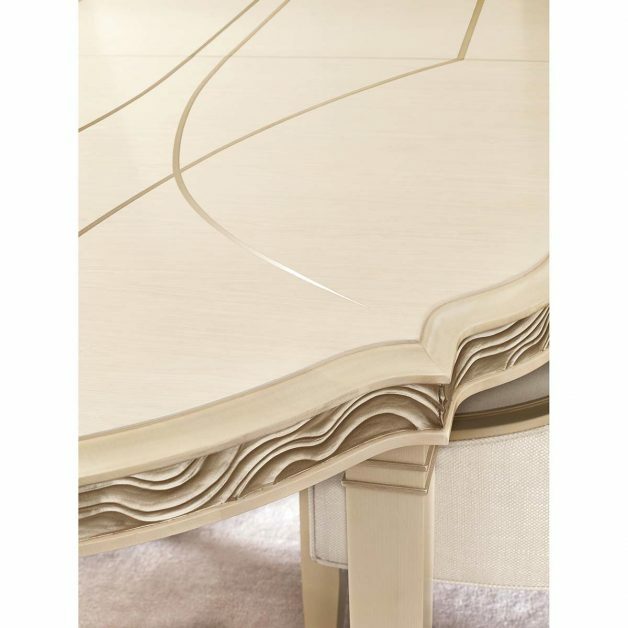 On its top is a modified, astroid stencil pattern for spectacular visual effect. 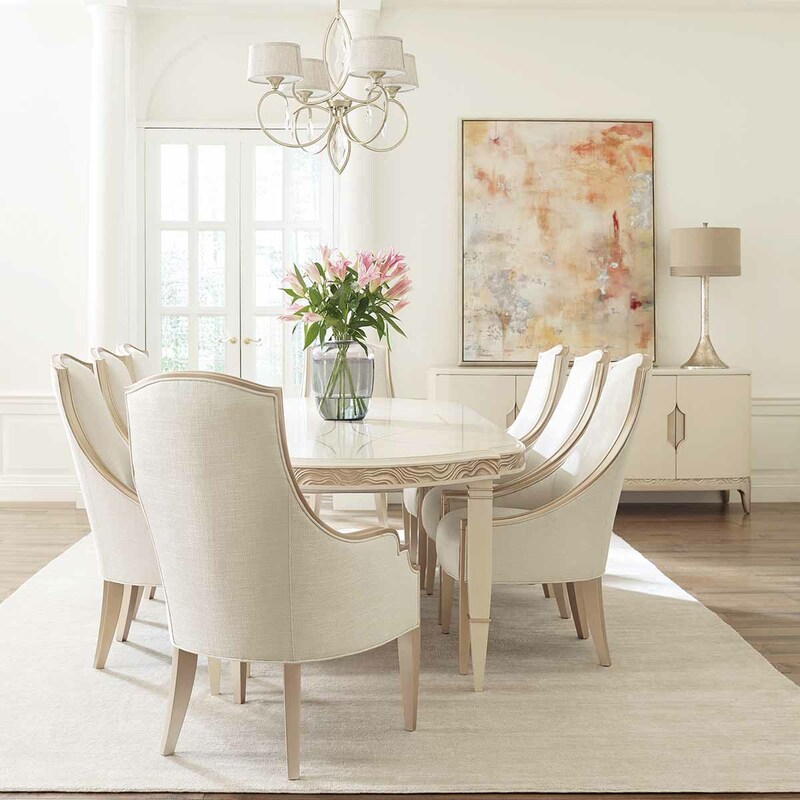 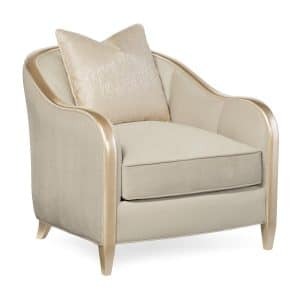 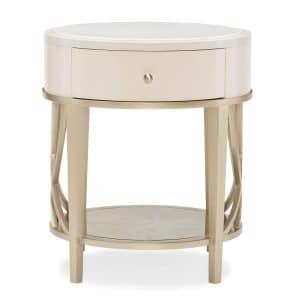 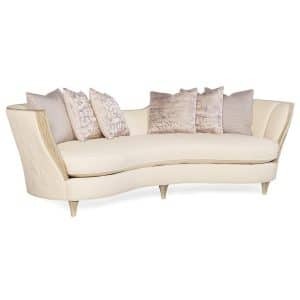 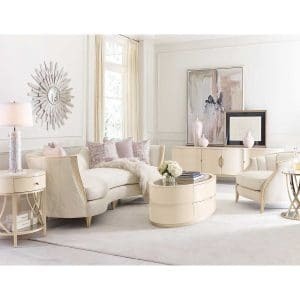 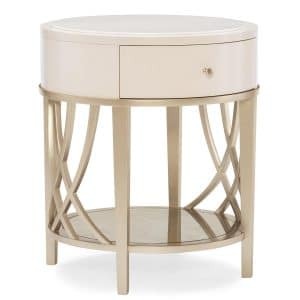 Available with two 22-inch leaves, the table has contemporized tapered legs with Blush Taupe double-bracelet details at the top of each leg. Extends to 138″ with two 22″ leaves. Top with decorative silkscreen in Blush Taupe. 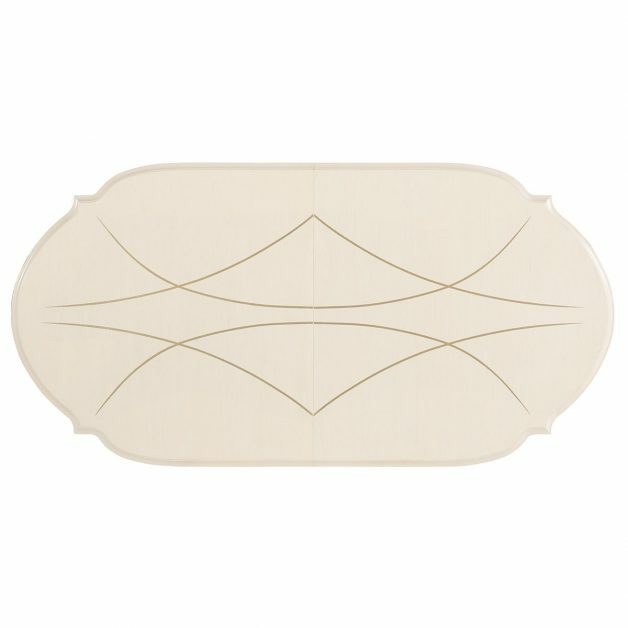 Carved apron.